Description: The herbs combined in this salve help fight athlete’s foot, ring worm, any fungus infection on the skin. Ingredients: Olive Leaf, Arternisia Annua, Par d’ Arco, Black Walnut Hulls, Clove, Yellow Dock Root, Aloes, Licorice Root, Oregano, Ginger, Olive Oil, Beeswax, Lavender, Tea Tree, Eucalyptus Oil and Vitamin E Oil. Description: This formula is designed to help with arthritis, sore muscles, stiff necks, headaches, stiff joints and general body pain. Ingredients: Cayenne, Ginger, Thyme, White Willow, Burdock, Chaparral, White Oak Bark, Valerian Root, Olive Oil, Beeswax, Menthol Crystals, Birch Oil, Thyme Oil, Wintergreen Oil, Vitamin E Oil and Clove Oil. Description: This deep penetrating formula is wonderful for opening the breathing passages. It also helps with sinus congestion, colds, asthma and bronchitis. Ingredients: Fenugreek Seed, Comfrey Root, Mullein, Lobelia, Olive Oil, Beeswax, Menthol Crystals, Eucalyptus Oil, Wintergreen Oil, Vitamin E Oil, Pine Oil,Peppermint Oil, Camphor Oil and Thyme Oil. 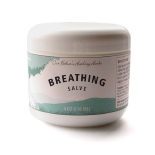 The Complete Salve Set includes: The Cayenne Deep Heat Salve, Breathe Easy Salve, Healing Antiseptic Salve, Anti-Fungal salve, Bone, Flesh & Cartilage Salve, Pine Pitch Salve, Anti-Inflammatory/Anti-Itch Salve, Bugs No More Salve, and Lip Balm/Unpetroleum Salve.